The Rt. Rev. 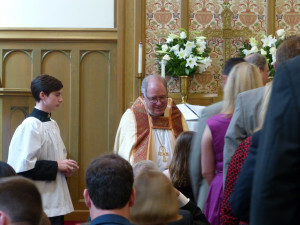 J. Scott Mayer was elected the fourth provisional bishop of the Episcopal Diocese of Fort Worth at a Special Meeting of Convention on May 16, 2015, at Trinity Episcopal Church, Fort Worth. He succeeds the Rt. Rev. Rayford B. High, Jr., who resigned effective June 30, 2015. 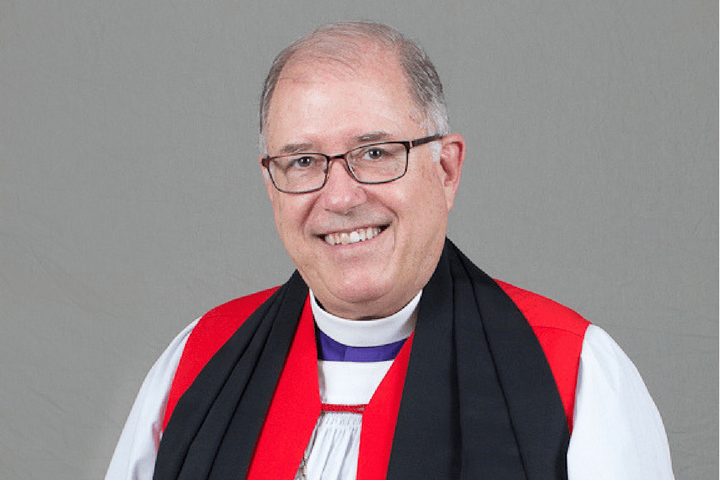 Mayer continues as bishop of the Episcopal Diocese of Northwest Texas while also serving as provisional bishop of Fort Worth. He splits his time between the two dioceses. James Scott Mayer is a native and lifelong Texan, born in Dallas and raised in Lubbock and Fort Worth. Mayer has long and deep connections to Fort Worth. He and his younger brothers were baptized and confirmed at St. Andrew’s Episcopal Church in Fort Worth, attended Fort Worth public schools, graduated from Southwest High School, and enjoyed memorable summer days playing ball at University Little League. Several family members continue to reside in the Fort Worth area. In 1977 Mayer received his BBA Degree in Management from Texas Tech University. He and Kathy Kistenmacher met while attending Texas Tech and were married in 1978. After twelve years of sales in the automotive aftermarket, the family moved to Austin, where Mayer earned a Master’s in Divinity from the Episcopal Theological Seminary of the Southwest in 1992. Bishop Mayer was ordained deacon in 1992 by the Rt. Rev. Donis Patterson and ordained priest in 1993 by the Rt. Rev. James Stanton, both in the Episcopal Diocese of Dallas. He then served as curate at St. James Episcopal Church in Texarkana before being called to the Church of the Heavenly Rest in Abilene – first as associate rector in 1994, and then as rector in 1995. He was consecrated as bishop of the Diocese of Northwest Texas on March 21, 2009, in Lubbock. The Mayers have two grown children, both married, and two grandchildren.